The next meeting of the Ulysses Reading Group is on Sunday the 13th of May at 7.30pm in Muir Court. We are hoping to get to the end of Episode 12 (Cyclops) beginning from the line “Jesus, I had to laugh at the way he came out with that about the old one with the winkers on her …”. In this section Bloom confronts the Citizen’s anti-semitism. In Homer’s Odyssey, Odysseus escapes after blinding the giant with a stake. 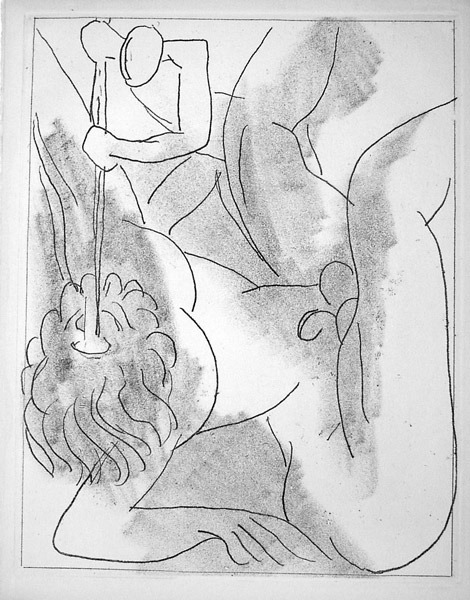 Here is Henri Matisse’s portrayal of the incident.